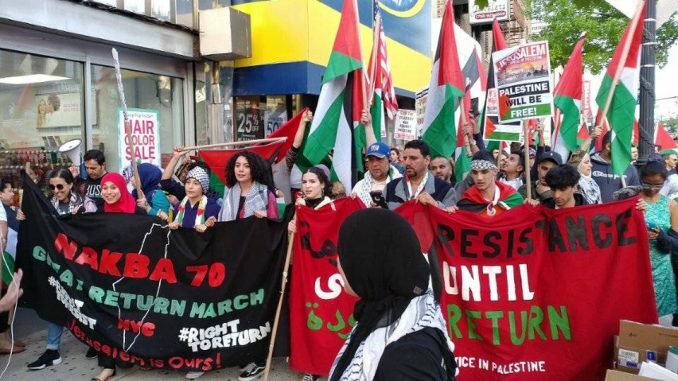 Hundreds of Palestinians and supporters joined a May 14 rally and march through the Arab-American community of Bay Ridge, Brooklyn, in solidarity with the Great March of Return in Gaza. The protest was also part of the Day of Rage against Presidents Donald Trump’s relocation of the U.S. embassy to Jerusalem in violation of international law. The action took on an emergency character in response to the Israeli massacre of more than 60 protesters in Gaza earlier in the day. 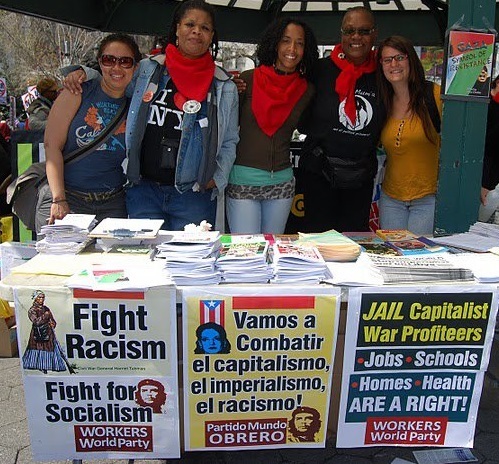 Community members came out with their whole families, and solidarity activists came from across New York City. Many homes and business hung Palestinian flags to show their support. The demonstration was called by the NY4Palestine coalition. At the opening rally Nerdeen Kiswani of Within Our Lifetime said, “We, the Palestinian people, will never surrender our right to return to the lands and homes stolen from us 70 years ago” with the creation of the Zionist settler state of Israel. Several Palestinians spoke of the pain their families experienced when driven from their homes during the Nakba, or catastrophe, and of their determination to end Israeli occupation. 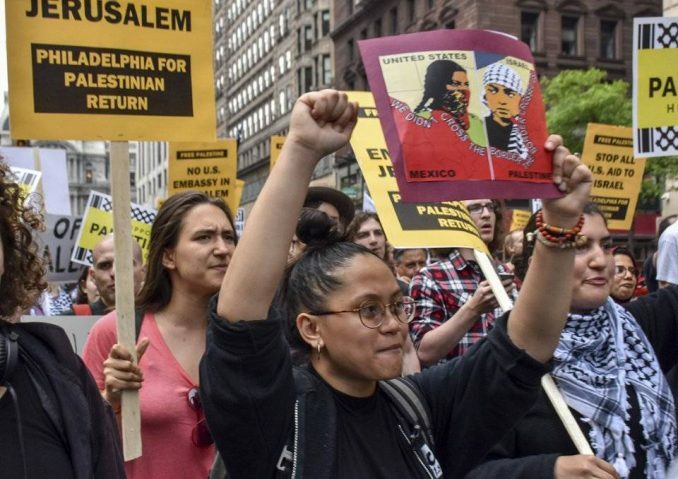 The action, uniting Palestinians, anti-Zionist Jews, and people of many nationalities, encouraged people to come out for a mass protest planned for Friday, May 18, beginning at 3 p.m. at Times Square, Seventh Ave. and 42nd St. in Manhattan. Hundreds of people rallied and marched May 14 in solidarity with the Palestinian Great March of Return. 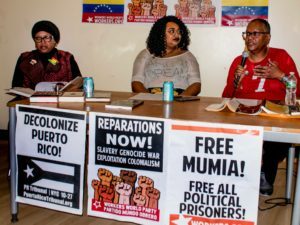 Protesters advanced from Thomas Paine Plaza, past City Hall, and ended at the Kimmel Center, home of the Philadelphia Orchestra, which plans to perform in Israel in June. The seventh weekly “Don’t Orchestrate Apartheid” protest of that tour is Saturday, May 19, 6:30-8:30 p.m. at South Broad and Spruce Street. In France, people are also demonstrating solidarity with the Palestinians as part of the wave of worldwide support for the Great March of Return. 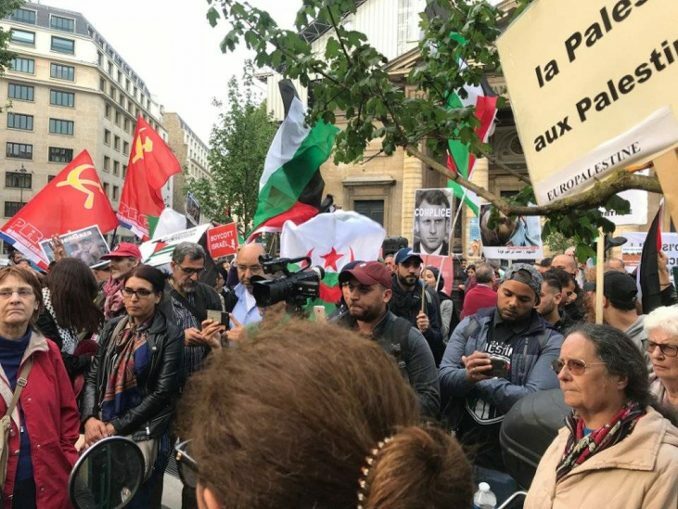 Some hundreds of people came out on May 15 to the square at St. Philippe du Roule in central Paris to protest the Israeli massacre. A larger demonstration is expected on May 16 at the Place de la Republic.